"I don't think that it is the right move." For over two years now, the debate on who should be India’s No. 4 batsman in ODIs has not seen an end. Various players have been tried on that batting position, but none could guarantee a responsible role. Recently, India’s head coach Ravi Shastri had suggested that captain Virat Kohli should bat at no. 4 instead of no. 3. 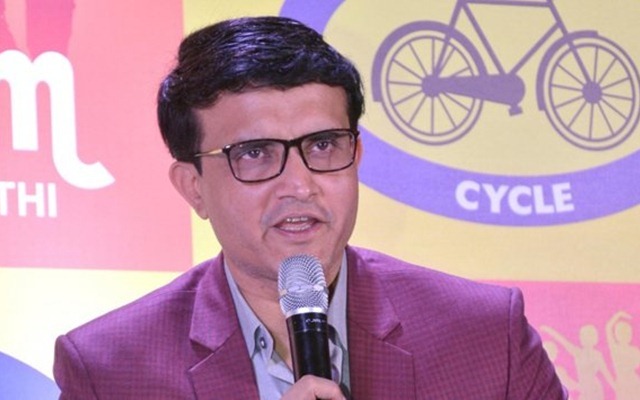 But former Indian captain Sourav Ganguly has expressed his disagreement over head coach Ravi Shastri’s idea of playing skipper Virat Kohli at No.4. He explained that India’s top-three in the batting lineup should be the same going into the World Cup 2019 in England and Wales in June. Shastri had earlier said that the top order is very flexible and that they can be separated as and when the team requires. He then opined sending Kohli at No.4 and find a good batsman for the no. 3 slot. “The good thing about this Indian top-three is we can separate them if conditions and situations demand. Someone like Virat Kohli can go to number four, and we can put a good number three to bring more balance to the batting line-up. That’s flexibility for you, and for big tournaments like the World Cup, you have to be flexible to see what’s the best balance for the side,” Shastri had said. India, led by Kohli, are scheduled to start their campaign on Wednesday, June 5 against South Africa at the Rose Bowl in Southampton. The Men in Blue are touted to be one of the favourites bearing in mind their recent form in the 50-overs format.